Century Cycles Blog: Bikes 'n beers, baby! 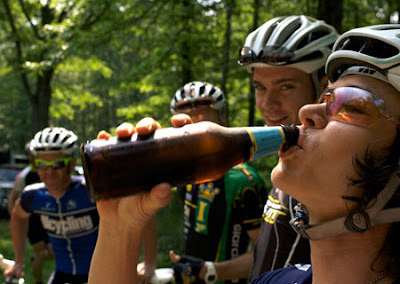 Click here to read what Bicycling magazine has named the best bike-related summer brews. Even though I'm generally an IPA gal, I gotta give a special shout-out to slide 10, a beer from La Brasserie Artisanale de Rulles: "Estivale is proof the Belgian Beer Gods smile down upon cyclists." And if the Belgian Beer Gods are smiling upon you, what more do you need? ?